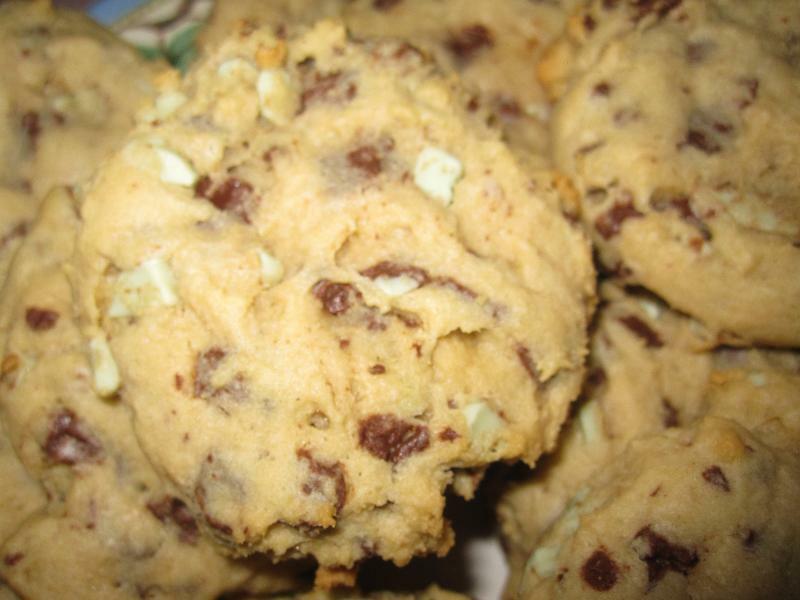 This recipe can be found on the back of the bag of Andes Creme de Menthe Baking Chips. Blend the butter, sugars, baking soda, baking powder, vanilla, and eggs until mixed. 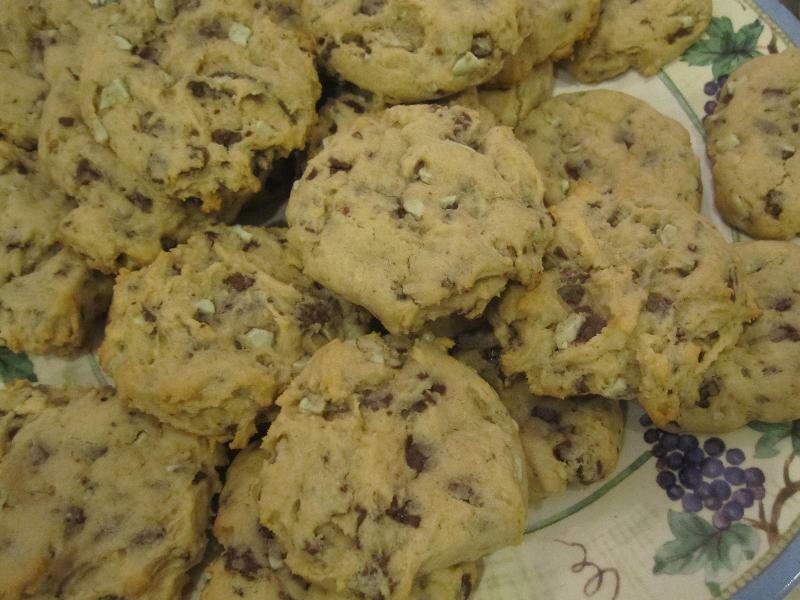 Stir in the Andes Creme de Menthe Baking Chips and then the flour. Chill approximately one hour in the fridge. Raise oven rack one level above the middle.Preheat the oven to 350 degrees. Measure out approximately 1 oz of dough. Form the dough into a ball and flatten slightly.Place on a non-stick baking pan. Cool the cookies on the pans for 2 minutes before removing.